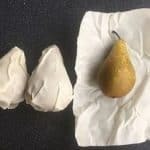 Mother Nature’s answer to nasty plastic in your kitchen and lunchbox. Made by hand from organic-certified cotton cloth and wonderful beeswax with a touch of tree resin. 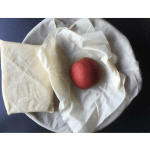 Buzzcloth is a delicious smelling, scrunchable cling cloth that moulds to the shape of food or bowls, but it’s all natural, reusable and eventually compostable! The wax seals the freshness in, alleviating the need for nasty plastic or foil. 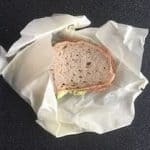 Beeswax food wraps are unsuitable for high temperatures, so hand-wash in cold water (with mild soap if necessary) and avoid the microwave (bad for you anyway), oven and dishwasher. ​​Please note: Buzzcloth does not get on with anything hot, or raw meat. ​So do not wash in hot water, and don’t put it in the microwave or oven. If you want to cover meat, put it into a bowl, and cover the bowl with Buzzcloth. Works perfectly!